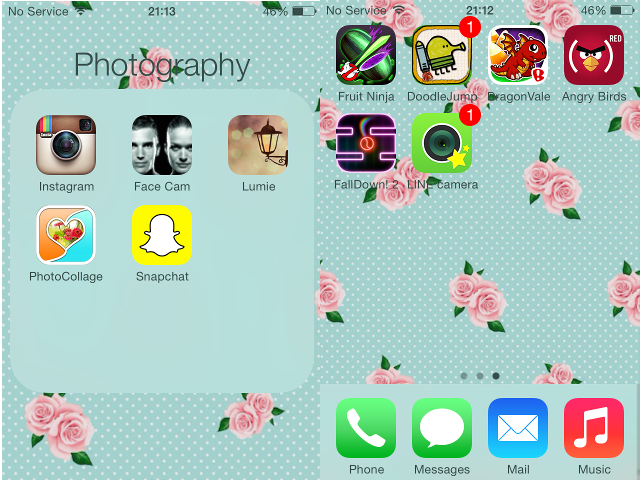 I always find it really interesting to see what people have on their phones app-wise, so here's my version! 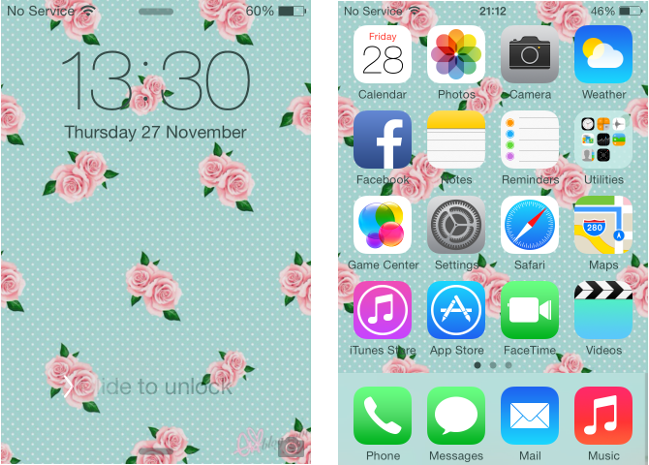 I always have something cute and bright for my iPhone background, if you go on your phone and google 'kawaii/tumblr/cute' backgrounds you'll find similar. I don't think there's anything particularly exciting about my main screen! I actually survive solely off 3G and Wifi here in Japan, it's very hard for foreigners to get phone contracts and as you can make calls with other apps I won't be calling anyone using actual signal for a while! Messaging- Whatsapp is obvious, everyone has it - I use this to message friends and family at home. Facebook messenger too is pretty much a given. Line is the Asian version of Whatsapp which I use to talk with friends in Japan and other foreign students, it's better developed than Whatsapp in my opinion and includes the function to call people for free using the internet and has loads of Line only emojis in-app which are uber cute (and sometimes confusing). Japanese Learning - Imiwa is an app that if you are a Japanese learner chances you'll have heard of it or have it. It's a massive Japanese dictionary that doesn't require internet, I use this daily - whether I'm doing homework or in the supermarket trying to figure out what the hell something is. *Helpful Hint* if you download the Chinese - Simplified Handwriting keyboard you can draw in kanji (characters) you don't know (the keyboard has very good recognition too) and imiwa will tell you what they mean in seconds! Anki is a flashcard app which is seriously good, it also has a website counterpart which syncs with your phone. I input new words I learn and test myself before bed/on the train. Warning this app is excruciatingly expensive for iPhone users - £17!! I believe it's free for Android users though. 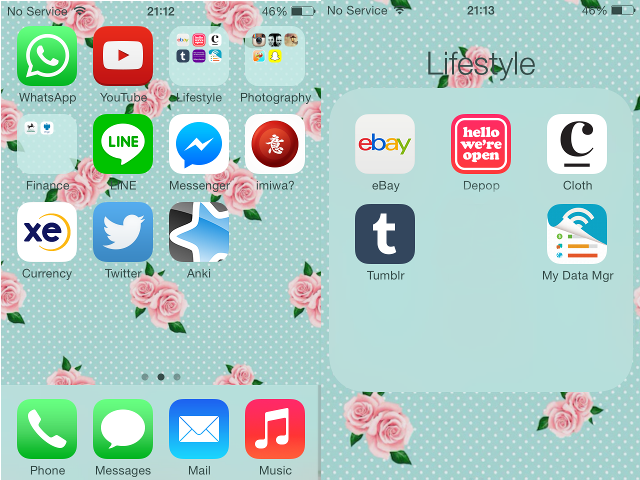 Lifestyle - I don't actually use the Tumblr app but I like the fact it gives me notifications when someone follows me. Depop I was using to sell things but I just don't really enjoy this app (see my review of Depop vs eBay HERE). I'm not selling while I'm in Tokyo but I use the eBay app to mark dispatch notices and talk to buyers when I sell things. 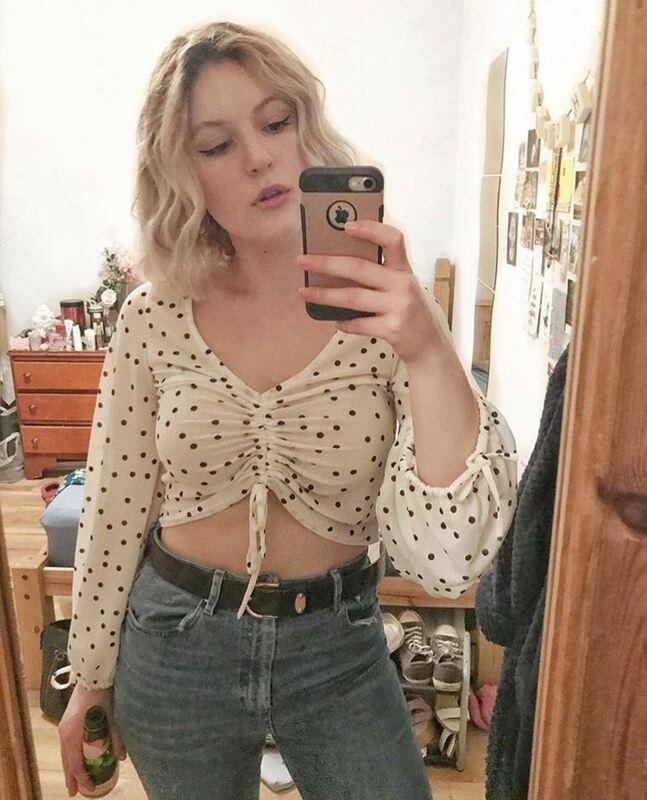 Cloth is like Instagram for your wardrobe - see my review of it HERE. My data manager tells you how much data you're using which is pretty useful but I've recently discovered the iPhone will tell you this anyways so I will probably be deleting this. Photography - Instagram and snapchat are pretty obvious ones, I don't use Snapchat that often - I've only just got it back after a weightloss company hacked me and messaged everyone in my contacts weightloss adverts constantly. PhotoCollage is a freebie app that allows you to put multiple photos together in interesting ways, I sometimes use this for instagram. Lumie allows you to put cute filters on things (like the heart lights, Bokeh I think they're called?) but I didn't use it enough so I deleted this recently. Line Camera is awesome it has loads of beautification options and tons of stickers to edit photos which are super cute! Face Cam is a beautification app which I occasionally use on selfies to improve my skin, but it also has options to make your eyes bigger and chin sharper etc - can make you look pretty weird if you go too overboard. Games - Fruit Ninja, Doodle Jump, Angry Birds and Fall Down are crazy addictive. Great boredom busters. I don't really play Angry Birds anymore though as fittingly, it makes me angry. DragonVale is one of those FarmVille type games where you hatch dragon eggs and have in game pay-for-things options which I may have bought before (the shame). I don't really play this anymore at all but haven't deleted the app out of fondness for my dragons, #khaleesiproblems. Lovely background, and I agree with you, fruit ninja and angry birds are pretty addictive! 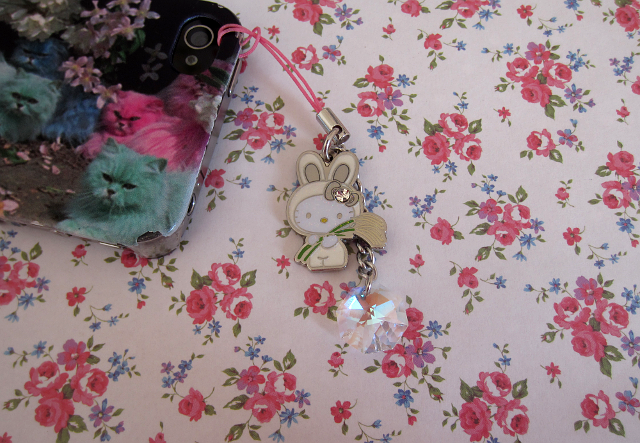 So pretty, pink, & kawaii. I love the colors. 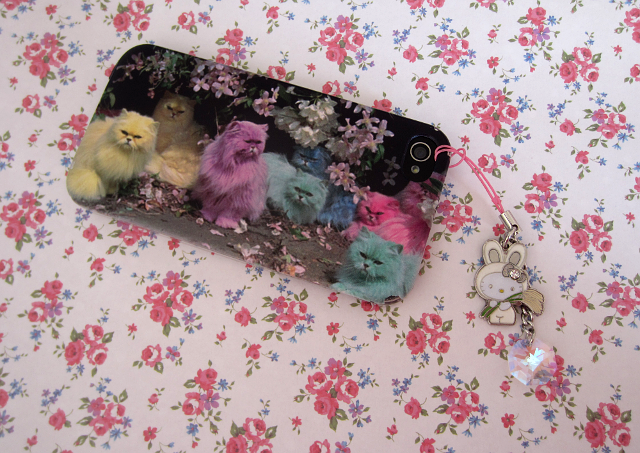 Your phone case is pretty fantastic. Happy Monday! I really love your background. We have a lot of the same apps! My name faith i want to give thanks and i will always give thanks to Dr ogboni who brought back my love that has left me for 6years within 48hours, i have said about this last week but i promised to always tell people about this every week end so that those that did not read about it last will read about it this week, i have been looking for how to get this boy back to my life because i love this boy with the whole of my heart, i could not replace him with any body,one day i was watching my television when i saw a lady giving thanks to Dr igbalu and telling the world how he helped her i was so shocked i could not believe it because i never taught that there are powers that can bring back lost love, then that was how i decided to contact him too because i do really need my love back,when i contacted him i told him everything and he told me not to worry that my love will surely be back to my arms within 48hours at first i could not believe because i was thinking how could somebody that has gone for 6years come back within 48 hours,so then i decided to watch and see,unbelievable within the next 48hours i got a call from unknown number so i decided to pick the call the next thing i could hear was my loves voice he was pleading and begging me on the phone that i should forgive him that i should forget all that have happened that he did not know what came over him,he promised not to leave for any reason, that he was really sorry for what he did,i was so surprised because i never believed that this could happen,so that was how i accepted his apology and the next morning he came to my house and still pleading for me to forgive him i told him that everything is okay that i have forgiven him, that was how we started again and now we are married, i promised to say this testimony in radio station, commenting this testimony is still okay but before this month runs out i promise to say this in radio station and i will,sir thank you very much.World please am begging you people to try and thank this man for me,or if you need his help here is his email address:ogbonispelitemple@hotmail.com , you can still contact me through my email to know more about him.this is my email adress:ogbonispelitemple@hotmail.com. I honestly don't really have many apps on my phone but I really should find some. Thanks so much for sharing yours! That learning Japanese one sounds so cool! I just adore your phone case!